“The next day after I wrote last here fell out a pittiful incident in the black friers, where the papists had hired a house next to the French Ambassadors (that so they might be as it were under his protection) to hold … masse, … and perform all other their exercises and rites after the Romish manner; a great multitude being met there on the 26th of the last month [October] to heare father Drurie a famous Jesuit among them preach in an upper roome, the floore sunke under them, or rather the beames and joystes not able to bear the weight brake in the midst. Many [possibly as many as one hundred] perished, partly battered and bruised, but for the most part smothered, for the first floore fell with such violence that it brake down a second under it. A number were hurt …, which found little helpe or comfort at first, our people being growne so savage … that they refused to assist them … in their necessitie, but rather insulted upon them with taunts and gibes in their affliction …, but there was as much goode … to represse the insolencie and inhumanitie of the multitude, and for reliefe of the distressed”. This entry was posted in Contemporary accounts of events, London History, On this day, Post-Medieval, Stuart and tagged Blackfriars, John Chamberlain on October 26, 2018 by Bob Jones - The Lost City of London. “On … Shrove Tuesday, the ‘prentices, or rather the unruly people of the suburbs, played their parts in divers places, as Finsbury Fields, about Wapping, by St Catherine’s, and in Lincoln’s Inn Fields, … in pulling down of houses, and beating of guards that were set to keep rule, specially at a new playhouse, some time a cockpit, in Drury Lane, where the queen’s players used to play. Though the fellows defended themselves as well as they could, and slew three of them with shot, and hurt divers, yet they entered the house and defaced it, cutting the players’ apparel into pieces, and all their furniture, and burnt their playbooks, and did what other mischief they could… . There be divers of them taken since and clapped up, and I make no question but we shall see some of them hanged next week, as it is more than time they were”. It was not an isolated event. Between 1606 and 1641, there were a total of 24 such Shrove Tuesday riots, generally targeting “bawdy-houses”. And on Tuesday March 24th, 1668, there was another particularly large one, involving tens of thousands of the populace, and described by Samuel Pepys in his diary. This entry was posted in 17th Century London, London History, On this day, Post-Medieval, Stuart and tagged Bawdy-houses, Dudley Carleton, John Chamberlain, Playhouses, Shrove Tuesday riots on March 4, 2018 by Bob Jones - The Lost City of London. “Above Westminster the Thames is quite frozen over and the Archbishop came from Lambeth on Twelfthday over the ice to the court. Many fantastical experiments are daily put in practice, as certain youths burnt a gallon of wine upon the ice and made all the passengers partakers. But the best is of an honest woman (they say) that had a great longing to have her husband get her with child upon the Thames”. Further records indicate that the Thames froze over in London nearly forty times between 1142 and 1895. John Chamberlain, who lived from 1553/4-1628, and was baptised and buried in the church of St Olave Jewry in the City of London, is best known now as the author of a large number of letters written between 1597-1626, that “constitute the first considerable body … in English history and literature that the modern reader can easily follow”. 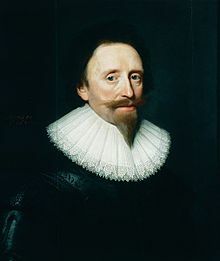 Most of the nearly 500 that still survive were written to Sir Dudley Carleton while he was serving as an ambassador in Venice and The Hague, and were evidently intended to keep the ambitious diplomat abroad informed of events – especially those befalling “the better sort of people” – at home (incidentally, Carleton went on to become Secretary of State). The letters contain descriptions of such important events in Elizabethan and Jacobean history as the trial of the Earls of Essex and Southampton in 1601, the Gunpowder Plot in 1605, the trial of the Earl and Countess of Somerset in 1615, and the execution of Sir Walter Ralegh in 1618. 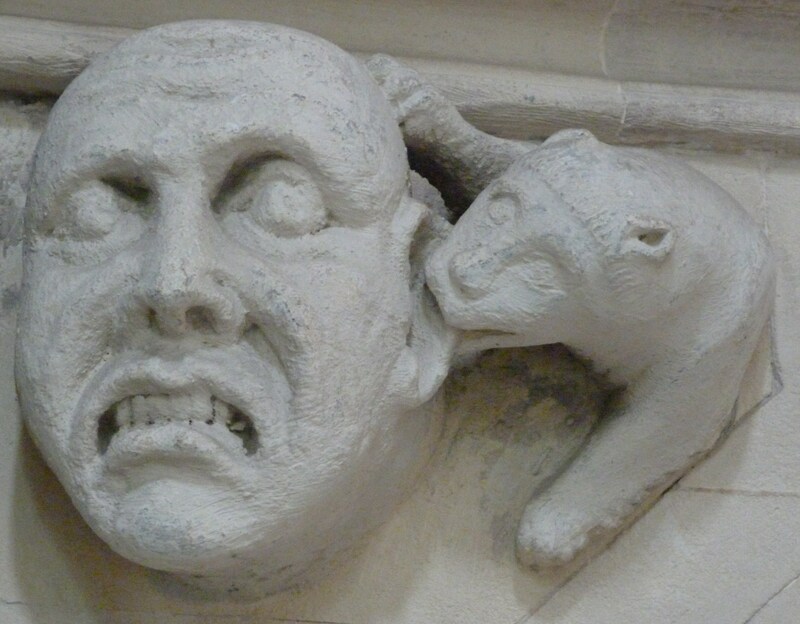 They also contain much court, City and country tittle-tattle (“who’s in, who’s out”), picked up, no doubt, in St Paul’s Cathedral, which at the time had a reputation as the fount of all such – it appears that Chamberlain was an inveterate “Paul’s walker”! This entry was posted in 17th Century London, London History, On this day, Stuart and tagged Dudley Carleton, John Chamberlain on January 8, 2018 by Bob Jones - The Lost City of London. 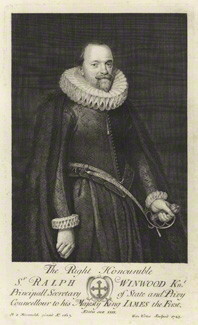 “[A]n odd fray … happened much about that time near the Temple, ‘twixt one Hutchison of Grays-Inn and Sir German Pool; who, assaulting the other upon Advantage, and cutting off two of his Fingers, besides a wound or two before he could draw, the Gentleman finding himself disabled to revenge himself by the Sword, flew in upon him, and getting him down, tore away all his Eyebrow with his Teeth, and then seizing on his Nose, tore away all of it, and carried it away in his Pockett”. Most of the nearly 500 that still survive were written to Sir Dudley Carleton, who, like the aforementioned Sir Ralph Winwood, went on to become Secretary of State. This entry was posted in 17th Century London, London History, On this day and tagged John Chamberlain, Sir Dudley Carleton, Sir Ralph Winwood on March 10, 2015 by Bob Jones - The Lost City of London.